Despite a processional Grand Prix, there were still some great drives in Canada, a track where it pays to drive aggressively (take note Sergio Pérez). I love Montreal, if ever I can scrounge together enough to meet Bernie's ludicrous ticket prices, Montreal is the race that I would watch. Unfortunately, there was a lack of action this year, particularly at the sharp end, as Sebastian Vettel got up to his 2011 tricks of a sublimely fast opening couple of laps, 'breaking' the DRS and managing the gap from there. While he deserves credit for the lead he opened over Mark Webber (aided by Webber's battles with Valtteri Bottas, Nico Rosberg and Fernando Alonso), I can't help but feel that Vettel was dominant because the car was. I still remain to be convinced where he stands in the pantheon of F1 greats until he is successful without Adrian Newey, regardless of how many titles he racks up. The setup of this weekend's GP suggests that Red Bull have finally managed to get the advantages they have in chassis design transferred through the tyres and onto the racetrack. Those who felt that Pirelli had gone 'too far' should watch races like that to show them that Pirelli are doing good for F1, rather than creating processions similar to the Bridgestone years. While Vettel deserves credit for a dominant win, he was by no means the star of the show in Canada. In fact he wasn't even the best 'Red Bull' driver on show. I'm convinced one of the Toro Rosso boys will have a big future, I just keep changing my mind after each race. 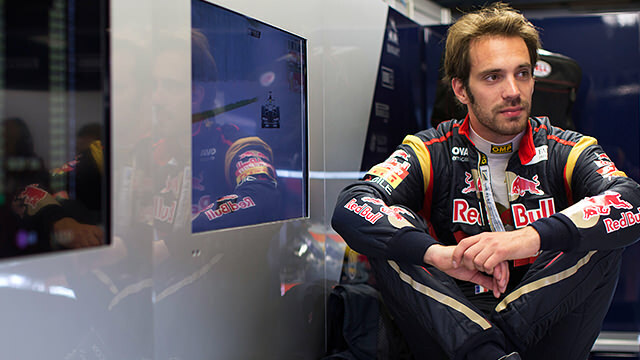 This week it was the turn of Jean-Éric Vergne to impress. Although I was a fan of the ingenuity from Daniel Ricciardo in the pitlane that triggered his grid penalty, he was ultimately outshone by his French teammate this weekend. Toro Rosso had its best qualifying in years as they benefitted from the damp conditions to qualify seventh and tenth/eleventh. But there was no doubt which Toro Rosso was on top in the race. A good start by Vergne was thwarted by Mark Webber attending to Valtteri Bottas but the Frenchman was happy to slot in behind the big boys, avoiding a silly incident and ready to pounce on any errors ahead. That chance came early on, as Bottas' dream Saturday turned into a nightmare Sunday as he slipped down the field. Vergne put a clean move on him to jump up to sixth as his race was made behind him. As Adrian Sutil dived down the inside of the Finn, he lost the rear of the car and dropped it in turn three somehow avoiding the wall as somehow everyone avoided him. It did however create an obstacle for those behind including Vergne's teammate Ricciardo. The incident gave Vergne just the gap he needed to control his race pace, with a slow Williams behind for insurance, and maximise his strategy. He was later helped by the one-stopping Paul di Resta holding chasing cars up but by then Vergne was well on his way to a career best result. While Ricciardo does appear to be a talent, Vergne is the one stringing together good race performances, something that Red Bull will be very aware of. But can he beat Kimi Räikkönen to the second Red Bull seat? You have to feel for Paul di Resta, two race weekends in a row he has been the unlucky man dropping out in Q1, largely because of strategy - it's clearly not because of outright pace of the Scot, or even the car. Understandably, he was fuming on Saturday afternoon but instead of seeing red mist, Di Resta used the anger to put in one of his best drives to date. Further down in the field, Paul knew that he had to try something different in order to be successful in the race, barring a crazy race. And so he was one of four drivers to start on the medium tyres, making a clear statement that he was going against the grain. It worked, as he was able to stay with the pack, with the help of Valtteri Bottas preventing field spread. This meant that his planned one stop strategy worked a treat and he climbed all the way up to seventh by the time he pitted on lap 57, cruising to the finish. His result was made all the more impressive when you consider that Romain Grosjean (who made the inverse strategy work for a podium last year) finished way down in thirteenth, unable to make the supersoft tyres last. 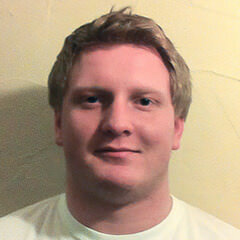 Outdoing Adrian Sutil, who started sixth, will have pleased him too. Di Resta was undoubtedly hampered by a poor qualifying, but he did say after the race that sixth was the maximum of the car this weekend, even with a good qualifying. I have to say that I was very impressed with Fernando Alonso in the Canadian GP. He knows that Vettel is edging away in the championship and Alonso responded with a very calculated drive. He knew that he had to minimise the points loss to Vettel, but he didn't go chasing anything either. He got the balance just right, showing great fighting spirit in battles with Bottas, Webber, Rosberg and Lewis Hamilton. The last was the highest risk as they came to blows twice and Alonso risked a devastating puncture. But he got away with it and secured what may be a vital second place come November. 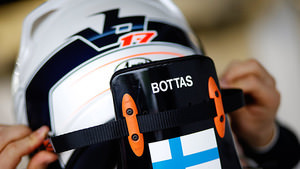 You had to be impressed with Vatteri Bottas for his performance in Canada. In many ways his lack of pace in the race showed just how good his qualifying performance was. Okay, it was in the wet, but many have made their name in the wet, as drivers can make a bigger difference. The likes of Senna, Vettel, Schumacher and Alonso got the media's attention with great performances in difficult conditions. It's been a tricky start to the season for the Finn but a merited third on the grid will do wonders for his confidence. I have to say that Bottas impressed me in the race too. He may have gone backwards but he was feisty, battling with Fernando Alonso and Adrian Sutil. 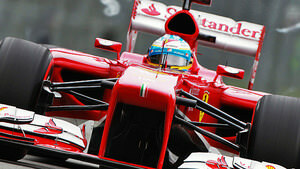 Not many drivers make it so hard for Alonso, especially not in a deficient car. Hopefully Williams can provide him with a car that allows him to prove his worth.